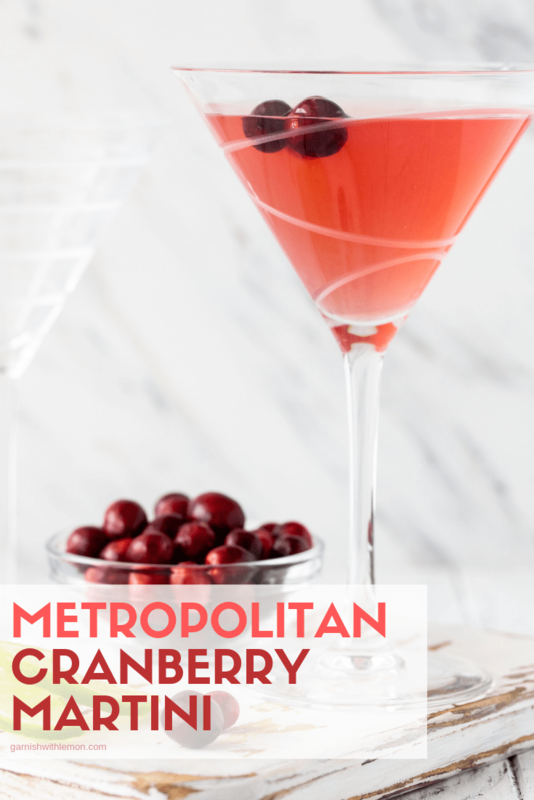 Perfectly balanced between sweet and tart, this Metropolitan Cranberry Martini recipe is a tasty twist on your traditional Cosmo. And it’s easy to shake for one or make a batch for a crowd! Now there are many martini recipes out there that I adore, especially when we are entertaining friends. These, these and these often make an appearance at our gatherings. But this Metropolitan Martini recipe is one of our go-tos. Every time I drink one, I wonder why it’s been so long since I’ve sipped on one. And then it dawned on me that I haven’t shared this martini recipe with you yet! 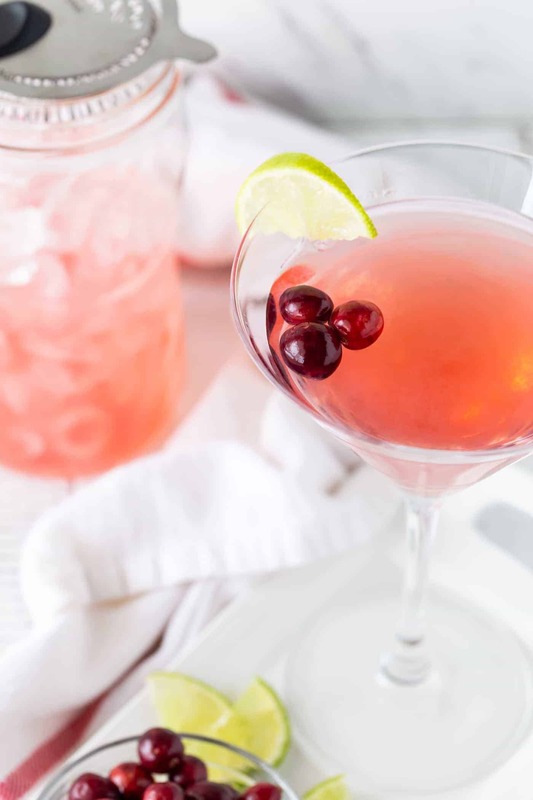 What’s the difference between a Cosmopolitan martini and a Metropolitan Cranberry Martini? How many Cosmo lovers are out there? Let me introduce to her much smoother sister, the Metropolitan Martini recipe. 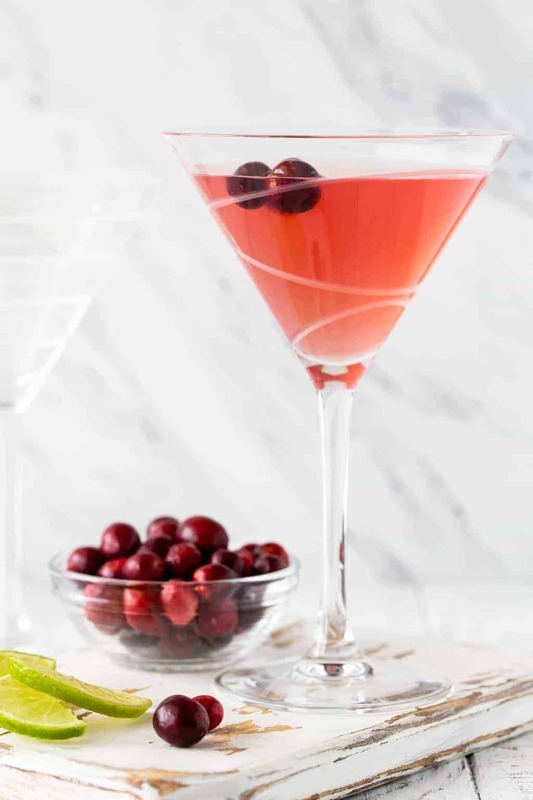 Just looking at this pretty cocktail, you would think it’s a Cosmopolitan martini, but there is a small but significant difference between the two: the vodka. The Metropolitan uses blackberry vodka instead of plain vodka and that, in my opinion, makes for a much more delicious cocktail. 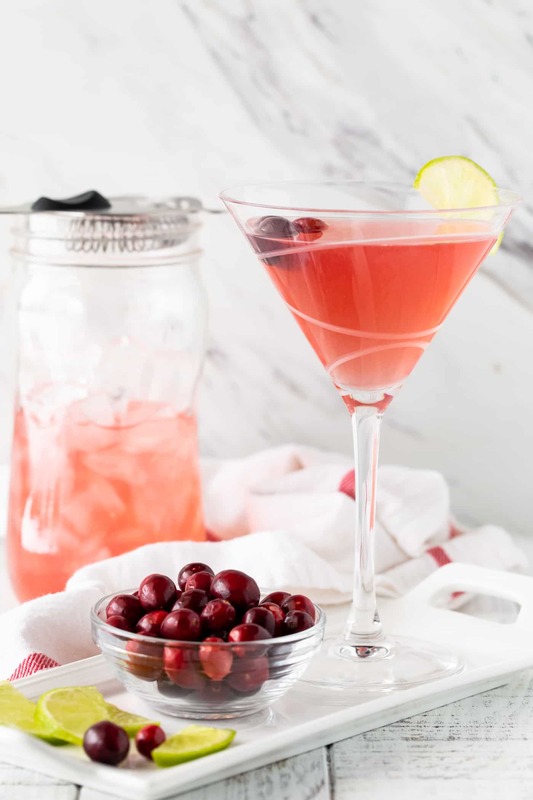 Filled with cranberry and lime flavors and perfectly balanced between sweet and tart, this Metropolitan Cranberry Martini recipe needs to be added to your cocktail files. Your friends and family will ooh and ahh over it. Don’t believe me? Try the two – the Metropolitan and the Cosmo – side by side and decide for yourself. And then I promise I won’t say “I told you so” when you are done. What are you waiting for? It’s 5:00 somewhere, right? Batch Cocktail Tip: This makes a great batch cocktail. We use our giant shaker to mix them all at once! Martinis are always hit with a group! Check out some of our favorites! Place vodka, triple sec, cranberry juice and lime juice in a shaker with ice. I like that this martini has cranberry and lime in it. That seems like a great flavor combination. Adding cranberries or a lime wedge would be a great garnish. I wonder if I can ask to have this made the next time I go to a bar. Thanks for posting this! Has anyone made these like the day before their event so all you had to do was add ice and shake and strain?? If so did they still taste good? Hi Chloe, I haven’t made this exact cocktail in advance, but I don’t see why it wouldn’t work. We prep a lot of our cocktails ahead of time with no problem. Let us know if it works for you!